Fill out our simple form and get quotes from local projectors and screens suppliers. Project yourself well with professional projector and screen hire. Showcase your business, product or service clearly and effectively with the right portable projector screen equipment. We provide equipment for conferences, award ceremonies. and outdoor cinemas. Essential for most corporate gatherings, the right presentation equipment is vital to ensure your message is delivered. Whether it’s a presentation, product launch or an awards ceremony having the right visuals in place will help you to communicate and engage with your audience. A portable projector and screen will help you convey figures and statistics, can display examples and positive, influential images. 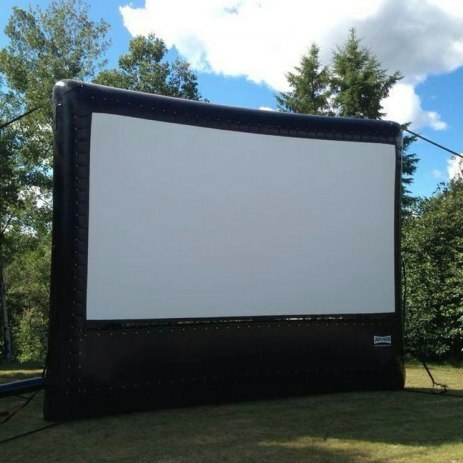 Our audio visual suppliers in this section provide portable projector screens and everything you need to go with them. They can set up for you, as well as offer technical support if needed. Aside from corporate events, you might need to hire a projector and screen for a wedding or birthday to back up your speeches, either way, find the right supplier for you here.